Donations to the American Daylily Society are always appreciated. The donor may select and donate to any of the following seven funds listed and described below. In December 1979, the IRS issued a determination letter that recognized the American Hemerocallis Society as exempt from federal income tax under section 501(c)(3) of the Internal Revenue Code. Contributions to the American Daylily Society are deductible under section 170 of the code and the Daylily Society is qualified to receive tax deductible bequests, devises, transfers or gifts under sections 2055, 2106 or 2522 of the code. Donations to the General Fund provide funds for operating expenses and may be designated for a particular expense. Donations to the Joe W. House Scientific Studies Fund are used for ADS Board approved grants for graduate or undergraduate students or faculty/staff using daylilies (plant genus Hemerocallis) as experimental organisms in original research projects. For information to apply for a grant click here. This fund is made possible through the generosity of Mabel Matthews. Donations to the fund are welcome. 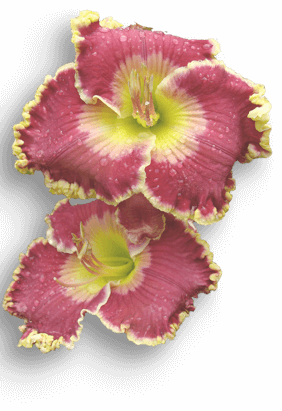 Any Daylily Society member is eligible for the scholarship. For information to apply for a scholarship click here. Donations to this fund are used for publication of a youth newsletter and $1,000 scholarships for Daylily Society youth members based on an application and selection process. A youth member is defined as under the age of 18. For information to apply for a youth scholarship click here. This fund was established by Grace and Patrick Stamile in memory of their daughter. The fund provides a Life Membership to a Daylily Society youth annually through an application and selection process. A youth member is defined as under the age of 18. For information on how to apply for this award click here. This fund exists to help meet the costs of the acquisition and care of historical materials relevant to Hemerocallis, and to the American Daylily Society and its people and events. Such materials may include books, newspaper and magazine articles, records of the business of the Society itself, theses and dissertations, photographic or digital documents or collections of enduring value, or other pertinent items associated with daylilies or our society. Significantly, the fund allows for the purchase of specialized software and equipment needed, but not covered in the annual budget of the Archives and History Committee. To make donations or memorials, please use the form above or contact our endowment chair. Kathleen can explain the current endowments funds and scholarships which the Daylily Society sponsors or has set up which can accept your donations and memorials.